This year marks my fifteenth year in ministry and I will enter my eighth year as Pastor of Christ Presbyterian Church. Over the years I have grown both spiritually and emotionally. I have had many challenges, and, dare I say, triumphs. Calls in the states of Indiana, Mississippi and Virginia have all helped to make me who I am as a pastor and a person. I value every moment in ministry, even those that presented significant spiritual challenges. I’m amazed at how diverse the people, places and modes of ministry are that I have been privileged to be part of. A list of the varied ministries I have been part of boggles my mind. Youth ministry in a camp setting, relief work following Hurricane Katrina, weddings, Baptisms, funerals, staff management, session leadership, and simply loving people, have all been components of the wild years since my ordination. Over those years, the world and the Church have undergone some significant changes as well. Society has embraced more and more technology and the need to connect through social media has been a strange, yet rewarding, new frontier in ministry. The idea of blogging seemed like something that either big church pastors or arrogant blowhards did fifteen years ago. Now it is not only a required ministry, but has grown to be a spiritually rewarding ministry. Throughout my ministry I have been blessed to be surrounded with people who were committed to ministering in the name of Christ. The continual challenge of ministry has been connecting the people’s gifts with the needs of the community and the ministries of the church. I have been extremely proud of how Christ Presbyterian Church has developed a unique leadership style that truly attempts to not only have our ministry be led by the sacred calling of God, but that expands the leadership circle of our ministries. Of course the circle can always stand to be expanded to include more. I have also been pleased throughout my time in ministry, to be active in the lager church through the presbytery. Don’t get me wrong, there have been times when it would have been far easier to be a renegade, out on my own, without the accountability of the presbytery. This would have also meant that I would have missed the blessings of the connectional church. The ministry of Geneva Center in Wabash Valley, working to help on a ravaged coast in Mississippi and helping to bring transformation in National Capital, have been rewarding times of common ministry. It seems that around this time period in a pastor’s ministry, they are expected to do some significant vocational reflection and continuing education. Over the past year I have been reflecting on my ministry with Christ Presbyterian Church and where we are heading in the future. Thankfully, I can only see a vital and long pastoral relationship as I consider the future. I also see the need for my personal ministry, and our congregational ministry, to be in a continual state of dynamic change. This is also true for how I see the ministry of National Capital Presbytery. This year I am seeking to build skills that will assist my ministry at the congregational and denominational level, to become more impactful in the world around us. One of the skills that I am going to spend significant time and energy developing is the skill of leadership coaching. Our congregation and presbytery are filled with passionate and gifted people. I believe that part of the unique ministry God is calling me to is in the area of helping people live into their leadership potential. To this end, I have enrolled in a special program offered by Auburn Seminary in New York. 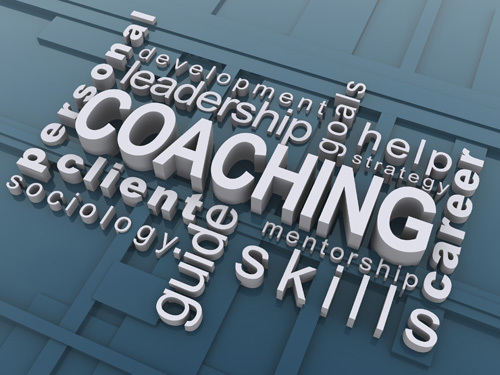 This program will assist me in developing the skills and acumen of a leadership coach. The session of Christ Presbyterian has approved this plan and fully supports this as a natural extension of my ministry. My overall goal for seeking this training is not only to become a certified coach, but more importantly, help the people around me to use their gifts to advance the ministry of the Church in the world. I will be attending the residence portion of this training from January 12th through the 22nd. As part of this training, I will be asking the members and friends of Christ Presbyterian to become “clients.” This coaching will not only benefit the church by having better leadership, but those who are coached can use this as a time for their own vocational growth. And as God said to the trusting and obedient Joshua: “…I hereby command you: Be strong and courageous; do not be frightened or dismayed, for the LORD your God is with you wherever you go” [Joshua 1:9] Godspeed, Pastor Geoff. New York? In January? I thought you were going to Florida for this! I know that you and our congregation will reap benefits from this beyond what we can now imagine. Thank you for your ministry. Praying for a time of spiritual discernment and renewal for you. Very astute Ann. Seminary is in New York but thankfully the class is in St Pete Beach. Not that I will see the outside much. Very intense course load.